EMF » A Comprehensive Evaluation of a Hospital In Nursing Home (HINH) Program in Three Queensland Hospitals. Emergency Medicine Foundation > Projects > Queensland > A Comprehensive Evaluation of a Hospital In Nursing Home (HINH) Program in Three Queensland Hospitals. A Comprehensive Evaluation of a Hospital In Nursing Home (HINH) Program in Three Queensland Hospitals. To determine whether the HINH program, whose aim is to avoid ED presentation from nursing homes, decrease length of stay at EDs and in-patient unit, and provide better translational care for the elderly patients from nursing homes, is effective. Increasing demand for hospital Emergency Departments (EDs) has resulted in long ED waiting times attracting media commentary and political attention. There are many factors contributing to the increasing demand in EDs, among which are increasing numbers of elderly patients in an aging population. Further more, a significant proportion of elderly patients attending EDs are from nursing homes where medical support is limited. To actively address this challenge, EDs in Queensland hospitals have been implementing a Hospital In the Nursing Homes (HINH) program, which involves sending clinical staff to nursing home facilities to provide acute medical care for residents, to provide support and education for nursing staff in nursing homes, to coordinate the transitional acute care service including senior medical staff becoming involved at an early stage when such patients present to the EDs, and to coordinate the discharge from EDs and in-patient unit. The main objective of HINH is to avoid ED presentation from nursing homes, decrease the length of stay at EDs and in-patient unit, and provide better transitional care for the elderly patients from nursing homes. 1. What is the burden of the residents in Nursing Homes on the acute care sector in three Queensland hospitals? 2. Does the HINH program have any positive effect on the above burden? 3. What is the quality of transitional care between Nursing Homes and EDs? 4. Does the HINH program have any positive effect on the above quality measures? The study design is a prospective cross-sectional observational study, with both quantitative and qualitative research methods. 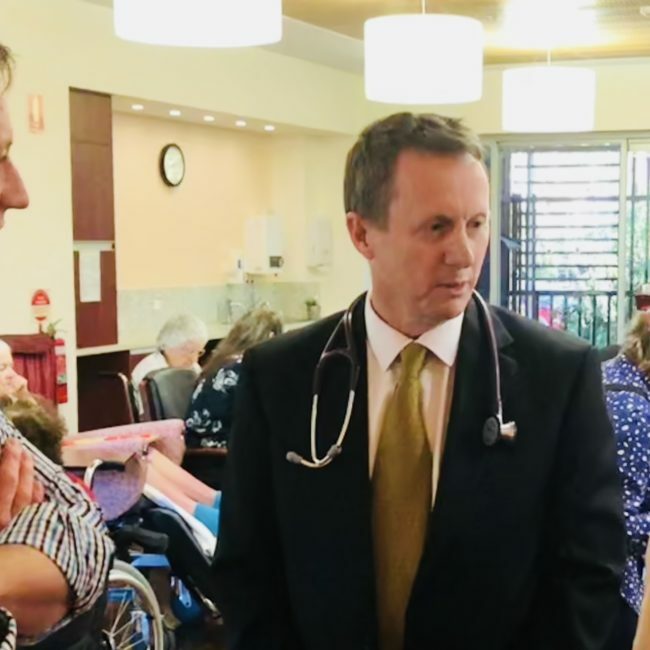 Dr Lukin and his team found the HiNH program significantly reduced the number of aged care residents transferred to one of the state’s busiest emergency departments. The researchers found the program led to an average 17 per cent decrease in aged care patients presenting to the RBWH emergency department, a 36 per cent drop in hospital admissions per emergency department presentation and an overall 47 per cent decrease in hospital admissions. The economic benefits for the Hospital were evaluated at $8 million per year or $17 returned for every $1 invested in the program. This research represents one of the first efforts to conduct evaluation of a particular health services delivery model in Queensland Australia in a relatively comprehensive manner focusing on both its effectiveness and its costs.